As announced here on e-architect a few months back, Foreign Office Architects are to be dissolved as husband and wife co-founders – Alejandro Zaera-Polo and Farshid Moussavi – split up. The architecture practice will cease to exist from today, 28 Apr 2011. FOA was founded in 1995. Their major work is Yokohama Ferry Terminal in Japan, which brought the studio to worldwide attention. The FOA partners will now pursue separate ventures. Farshid Moussavi will practise as Farshid Moussavi Architecture Limited and Alejandro Zaera-Polo will practise as AZPA Limited. Current work by FOA will continue. All FOA staff will be offered positions in the two new practices. FOA founded 1993 by Alejandro Zaera Polo (Spanish) & Farshid Moussavi (Iranian) ; they met at Harvard University, USA and worked together at OMA. Zaera Polo and Moussavi married in 1993. Like the Yokohama Ferry Terminal also by Foreign Office Architecture this intervention fuses landscape with sculpture to make architecture: flowing and undulating tessellated strips run along the seafront to make ‘man-made dunes’. 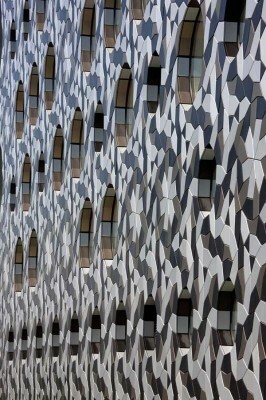 An early project by F-O-A Architects that helped develop their focus on tessellation, the complex patterns that have come to feature in many of their designs. 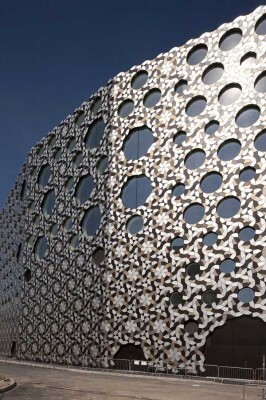 A commercial project for F-O-A Archietcts but the facades are beautifully executed. April 12, 2014 in Architects.